Learning as we Grow. We strive to grow flavorful and nutrient dense foods for market while exploring regenerative practices to nurture the land and pursuing farm based education initiatives to engage the community. It all began in 2015, right when we were just getting started as a hub, several community members welcomed us to grow on some of their land at no cost to us. It is because of this generosity that we were able to start up our own growing operation and really begin to explore growing our own food. Collectively we started with about 1.5 acres across 3 plots of land throughout the town of Bradford. Slowly we are migrating to our very own plot of land on West Road; where once was a forest, now there are fields (surrounded by forest!) and we are making additions all the time. We now have an NRCS funded high tunnel. Next on the list is a packing shed or farm storage. Some of us had experience on farms, some of us did not, but certainly we all had little idea what we were doing when we started out! Each year we gain a little more footing on the farm. We actively seek guidance through research, mentors, and fellow farmers in our area. It is an ongoing learning process! We have spent significant time and energy researching and testing growing methods that honor our values. We grow on fields and in greenhouses without harmful chemicals or artificial inputs. Our approach is continually shifting and evolving as we learn and experiment. Learn more about how we grow. We growing for market, deciding what we produce based on our market share. 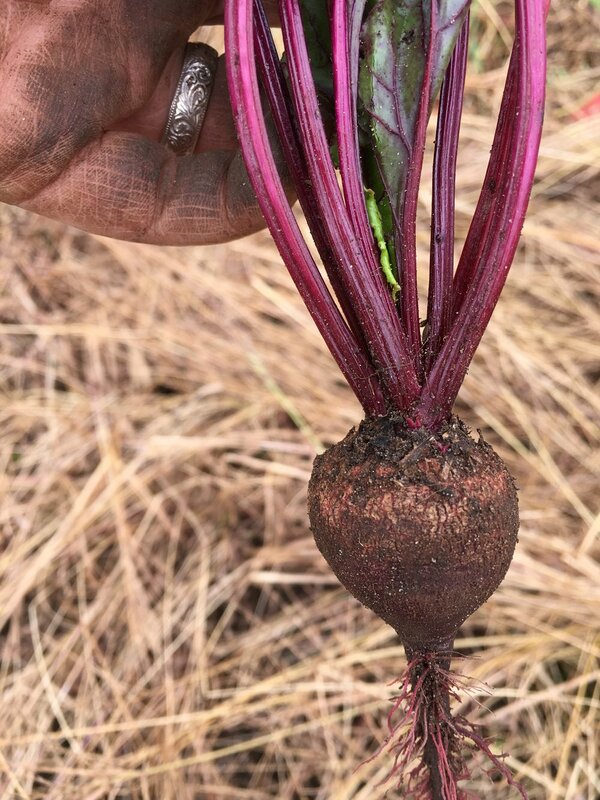 Due to our connection to Sweet Beet Market, we have ample opportunity to explore those market needs and try and fill niches to round out local offerings, while contributing to the financial viability of our operations and the food system as a whole. Learn more about what we grow. Since the beginning, we have been committed to sharing our farm as a resource for learning in the community. We have programs serving first graders all the way to College Students, all of which seek to inspire a love of nature and admiration for agriculture as the source of our food. Learn more about education on the farm. We are thankful for the farmers and growers out there leading the way in regenerative agriculture. Through thoughtful design, values like soil health, responsible resource management, and reasonable work load can and should align on the farm. Learn more about our influencers. We have come far on the farm, and still have farm to go. Keeping us on track is our vision for what we know this farm can become. Included in our vision are things like generating admiration and respect for nature, efficiently producing for our market share, and creating space for education, healing, refuge, and connection. We are setting out to fulfill this vision through targeted projects. Learn more about our projects and vision.